With her crew’s interplanetary spacecraft safely landed, Tammy Brandt grabs a flashlight and points it towards the strange flora in front of her. A friendly-seeming amphibian—a kind of cat-frog hybrid—emerges from the shadows. Minutes later, a herd of massive dinosaurs passes by in the distance, right before a terrifying, toothed-and-clawed creature, eyes aglow and eager for a meal, confronts her and her suddenly quaking cohort. Just then, a tap on the shoulder compels Brandt to remove her headgear. The head of finance is on the line, and he’s got some contracts for Brandt to look over. 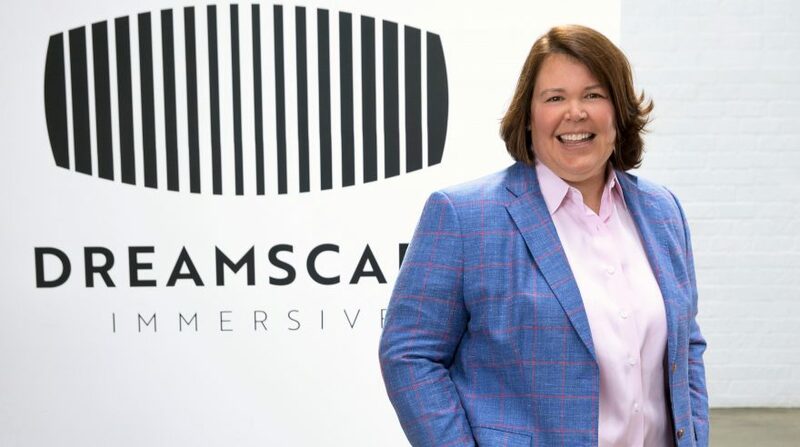 There aren’t many executives who can claim to have such experiences, but for the chief legal officer of virtual reality pioneer Dreamscape Immersive, there’s a thread-thin line between the job’s demands and its fantastical fringe benefits. Slated for public release at Dreamscape’s first permanent location this fall (more on that in a bit), “Alien Zoo” is the first in a series of virtual reality (VR) offerings currently in the works at Dreamscape, which is backed by investors including Steven Spielberg, IMAX, Warner Brothers, Nickelodeon, 21st Century Fox, MGM Studios and AMC. But while the title has garnered plenty of glowing press, it’s also presented myriad legal hurdles for Brandt and her team. 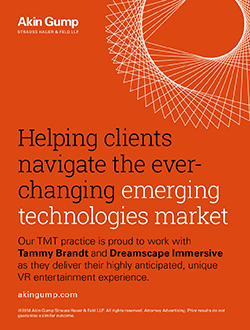 It starts with intellectual property (IP), what Brandt calls “the single biggest key to our business.” Given the recent explosion in VR technology—a trend Brandt believes will only accelerate—safeguarding Dreamscape’s foundational technology and experience particulars is paramount. 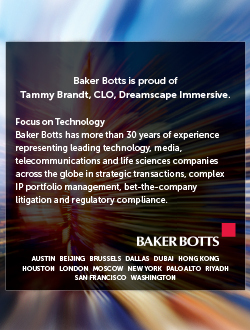 When she arrived at the company in June 2017, barely a year after its official launch, Brandt immediately moved to ensure that Dreamscape’s patent, trademarks and copyrights were properly worded and filed. In addition, as the company creates more titles, it’s Brandt’s job to make certain the content—from the individual characters to the worlds they inhabit—doesn’t infringe on existing trademarks or patents. As IP issues become increasingly complex, owing to the ever-evolving nature of the underlying technology, Brandt says that building a team imbued with strong IP expertise will be critical. Of course, the goal is to bring that experience to the public. This holiday season, the company will open its first-ever location-based VR theater. It’s one of several facilities the company plans on opening over the next few years, along with additional stand-alone locations. For most people, the concept of virtual reality is limited to headgear people pass around a living room on a Friday night. Suffice it to say, this isn’t your parents’ VR experience. 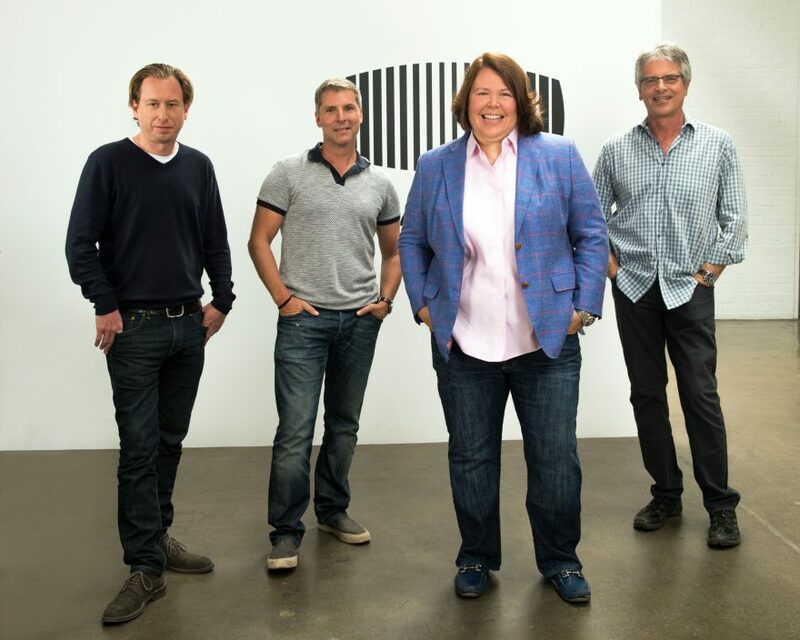 Dreamscape Executive Team: Aaron Grosky (COO), Bruce Vaughn (CEO), Tammy Brandt (CLO) and Walter Parkes (Chairman and Co-Founder). Still, the rollout entails plenty of behind-the-scenes work. On top of vetting companies and vendors who want to collaborate, Brandt and her team have had to navigate myriad licensing deals, real-estate contracts and permitting requirements. That Brandt also oversees Dreamscape’s human resources and corporate operations efforts only adds to the challenge. Luckily, it’s a juggling act Brandt has spent years preparing for. The daughter of two successful entrepreneurs, the Ohio-born Brandt displayed an early interest in the world of business—and an appreciation for just how difficult the subsequent success can be. After graduating with a dual degree in Economics and Business Administration from Bluffton University, where she was valedictorian and captain of the women’s basketball team, Brandt’s career path seemed all but set. But during a summer stay in Washington, D.C., where her older sister was preparing to attend law school while living with other pursuers of advanced degrees, Brandt became enamored with the lively dialogue that filled the apartment—debates and discussions that inspired and intrigued. 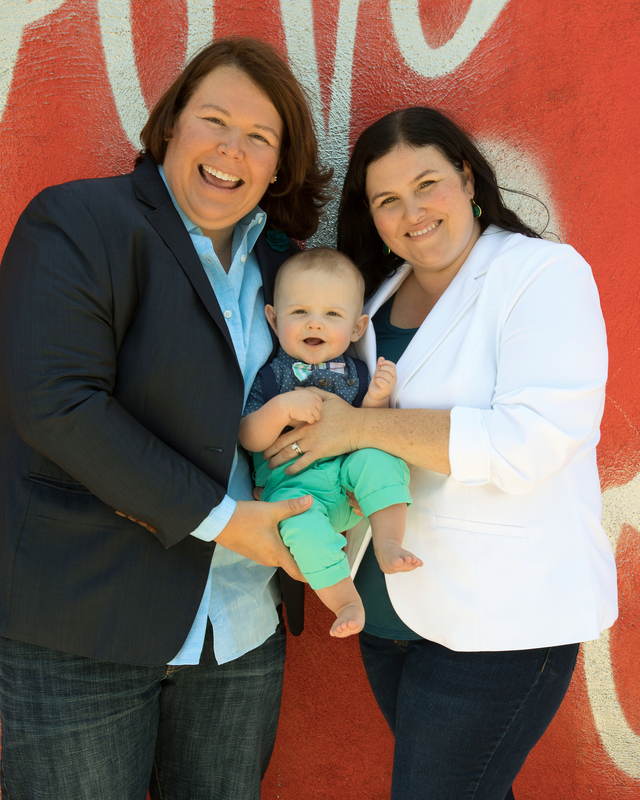 Determined to marry her old and newfound passions, Brandt attended the University of Notre Dame School of Law, where she served as managing editor of the school’s law review. After earning her J.D. in 2000, she completed a one-year clerkship for the Sixth Circuit Court of Appeals in Detroit, working on a few cases that were later heard by the U.S. Supreme Court. Tammy with her wife, Anne, and son, Bobby. From 2001 to 2007, Brandt served as corporate associate for a pair of high-profile firms—Jones Day and Sheppard Mullin Richter & Hampton—where she specialized in high-level financing and mergers and acquisitions. She then made the move in house, joining Toyota Motor Sales as managing counsel. Now, a little more than a year later, Brandt says the learning curve, though steep, has been more than worth it. More special than “Alien Zoo”? You’ll just have to wait and see.